Sweeping in Outlander land, Culross, Fife. 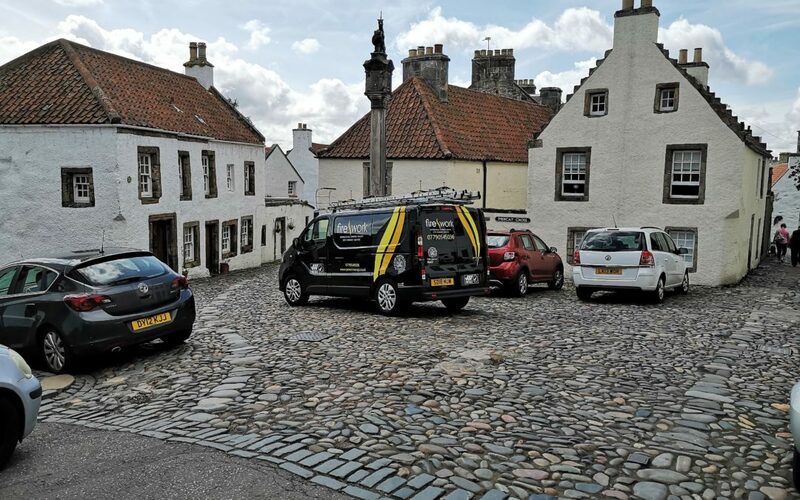 Culross is a beautiful village in Fife, where it is very hard to find a place to park your van. Apparently, Outlander is filmed here, although we have never watched it, instead we tend to spend our leisure time watching Fred Dibnah videos on Youtube. 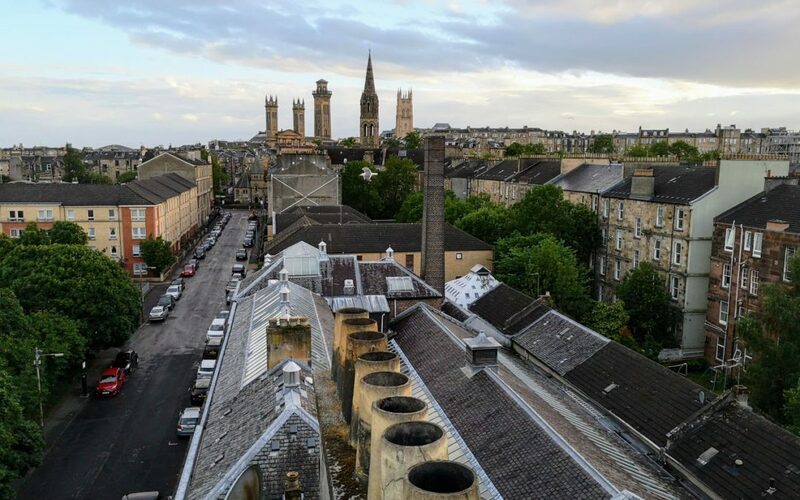 An evening view from the rooftops of Glasgow’s west end. Newport on Tay looking across to Dundee. 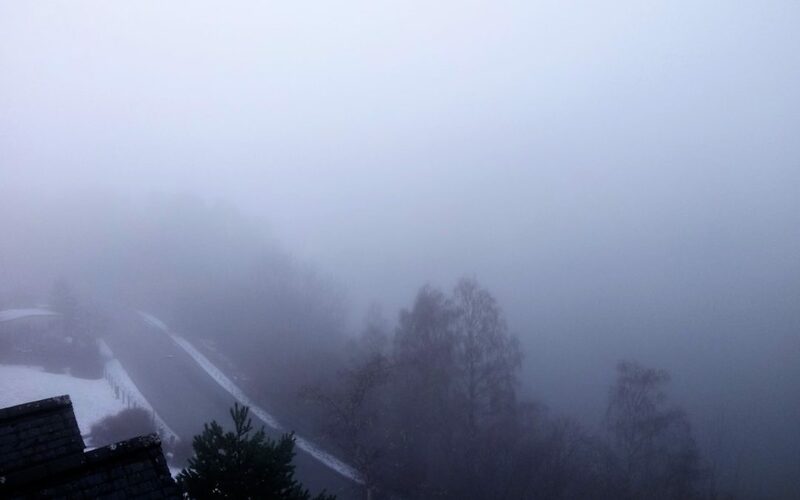 Lochness in from the roof – visibility rather poor. A view from the roof of Lochness. 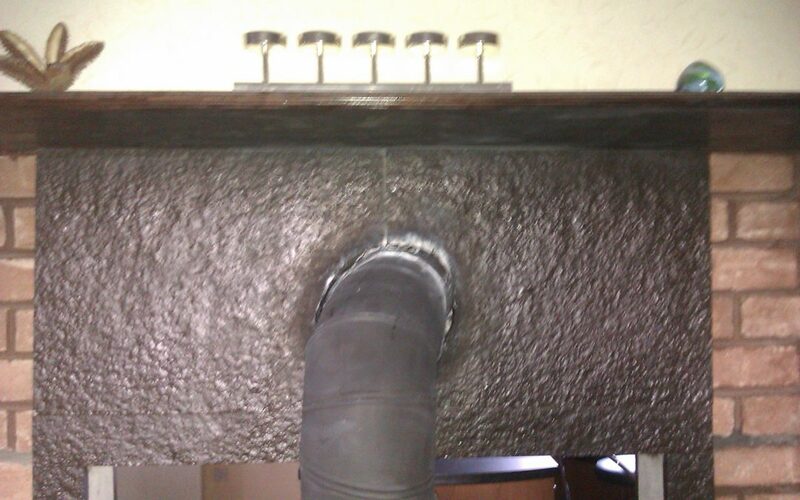 The sealant around this flue pipe caught fire, very nearly setting the shelving above ablaze. The white marks around the flue pipe are the result of the fire. It is important to have your chimney regularly swept and checked by a qualified chimney sweep. 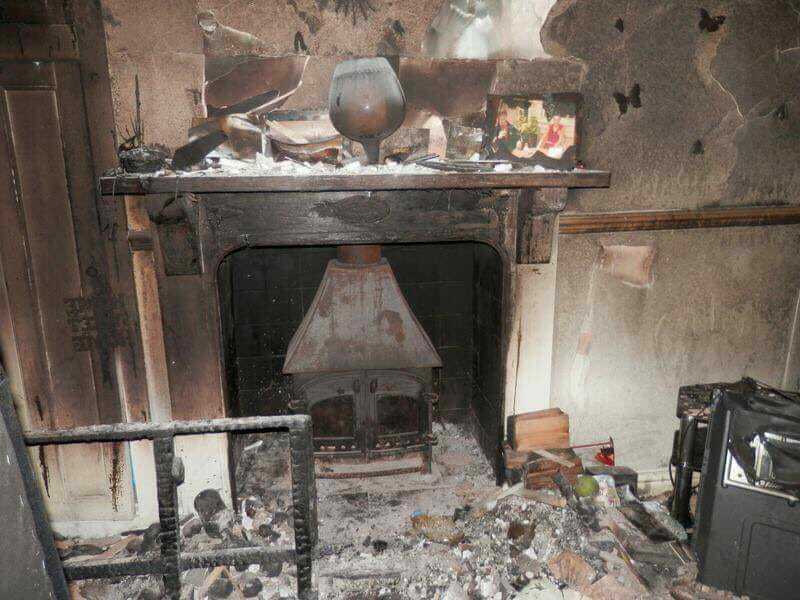 Chimney fires, not worth the risk. Please be aware of the danger of carbon monoxide poisoning from solid fuel stoves and fires.